"Are You Running With Me Jesus?" “Are You Running With Me Jesus? The year was 1965 and I remember picking up a book of prayers by that title, by Malcolm Boyd, an activist Episcopal Priest. He was struggling with issues of faith and ethics. Is there a God? How can we know? And if there is a God how can people who call themselves “Christian” treat black folks the way they do? I received word from some friends on Facebook yesterday that Malcolm Boyd is not expected to survive the weekend. I pray for the Companionship of Christ and the repose of his soul. 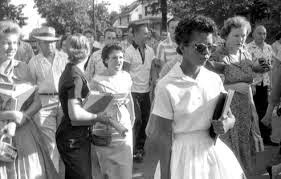 We were in the midst of the Civil Rights Struggle at the time. Malcolm Boyd was one of the “Freedom Riders” of 1961. We were in the midst of the “Honest to God” debates where many of us were struggling with our faith at one level or another. The whole idea of God came under close speculation. Many abandoned the quest for God altogether and we entered what many historians call “The Post Christian Era”. Malcolm Boyd wrote this book of prayers and it hit the New York Times best seller list. It is still worth reading. In it Boyd traces his long journey from a boyhood faith to a manhood atheism and back then to a place where the emptiness of the modern age seemed to beg for something more. He put his questions to prayer. I put my questions to God in prayer as well. He entered the wilderness of the quest of God. I did the same. He became a priest. I became a priest. We come now to Lent, a time when we acknowledge that Jesus too was driven into the wilderness. I must confess that there is part of me that loves the wilderness. As a boy, I loved it when it snowed. I am getting over that particular enthusiasm in my riper years. As a young man, my best friend and I used to travel to the north country in Ontario during the winter. We lived in Toronto at the time. The temperatures were often sub zero and the winds beat against us as we made our way on snowshoes across the lake to the family cabin. I loved the pure adventure of it. 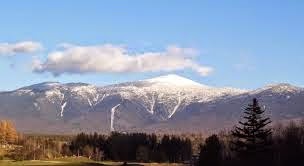 Even when I got a bit older, I loved going up to the Pinkham Notch Visitor Center and venturing out to climb parts of Mount Washington under the direction of the guides they had there. That was a long time ago. I’ve grown more cautious in my riper years. Hard experience has also taught me to respect the wilderness and to acknowledge my own mortality and vulnerability. This meant that God was there not just for Malcolm Boyd, or for Paul Bresnahan. God was there for all of us without exception. This is now 50 years ago. At the time we posed the question, at the time I read the book, I thought the answer was obviously; “Yes”. Of course God loves everyone without regard to race, ethnicity, class, gender, or orientation. After all, uncle Al and his partner were welcome at our Thanksgiving table in our home. Why wouldn’t he and Jimmy be welcome at God’s table too? It all began in Hyde Park, Boston during the days of integration. And let me tell you; the business of race was real then and there right there smack dab in the City of Boston. And it was not a pretty sight. We moved to Cleveland’s east side to the city of Euclid. And guess what, the business of race was real there too? And if that didn’t teach me all I needed to know about race in America, I went then to Pawleys Island in South Carolina. It was in the wake of Hurricane Hugo, and much help was needed. The Yankee from Boston did not last long there before he was shown to the door and rather unceremoniously bid farewell. I had the temerity to raise questions of how minorities were treated there. In West Virginia, I stayed in safer territory, and took on the matters of poverty, hunger and homelessness especially among our veterans. Honest to God, you’d think that was a theological “slam dunk”. But not so fast! It was a battle all the way. Then there was a cross burning I led the march from St. Mark’s to the Black Baptist Church with Mike Poke the pastor there. And that was not in the 1930’s. It was in West Virginia in 2005. 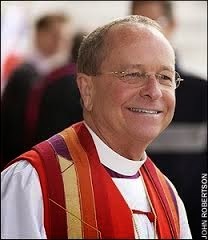 Then the Diocese of New Hampshire elected and consecrated Gene Robinson and a hoopla over that cause all kinds of divisiveness in the Episcopal Church and in the Anglican Communion. I spoke openly of my support of Gene Robinson’s election as well as of my children; two of whom happen to be gay, both of whom love this church with all their hearts; all because they love God with all their hearts. It is a question that is profoundly spiritual and ethical at the same time. Not only do we believe that Jesus runs with Malcolm Boyd in these ultimate moments, we believe that Jesus is running with all of us, because it is his belief as well as our own that “Christ’s Holy Catholic and Apostolic Church is increasingly “A House of Prayer for All people” (Isaiah 56:7 & Matthew 21:13). And when I say all, I mean ALL. Admittedly we are a tiny corner of of Christianity and even in the rest of the world of faith, to come right out and say so. Our ministry and membership are open to all. There are now no barriers to ordained and lay ministries in this church. That is such a fruitful question both for our spiritual and ethical lives. Both are inextricably connected. Last week several folks asked me about the Trinity; one of “riper years” and another just budding in his youth. In both cases, it was more the third person of the Trinity that caused the doctrinal difficulty. Obviously, if we believe in God the Father, we believe in the One who is the creator of heaven and earth. Most of us get that. No problem either with Jesus as Savior, although the fact that he was there with God at the creation is a bit of a stretch for some even though it says as much in Scripture. ~John 1:1,2. But the business about the Holy Spirit; just who is that? 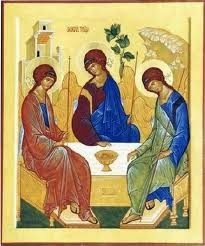 and how do we experience the Spirit as the third person of the Trinity? Please note that the word for the Holy Spirit in much of Eastern Christianity is "Sancta Sophia". She is the Holy Wisdom from God. I love that imagery. 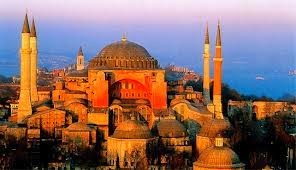 The great church built by Constantine in modern day Istanbul was named for her. One thing about the word “doctrine” in Anglican/Episcopal theology may be helpful. When we speak of doctrine we are not speaking of a teaching in the didactic sense as if it is something that we merely pour into the believer’s head out of some kind of arbitrary authority. Rather, we think of doctrine as a “signpost” for the journey. Doctrine is an invitation to consider the experience of God as something we encounter in life as a reality we seek to make sense of. Elisha, for instance, encountered this amazing prophet Elijah. “Elijah” means literally God is my Yahweh, my very being. God is the Name as revealed to us on the Holy Mountain by Moses. That’s who my God is. Baal conversely is no god at all. In fact the is no other God other than Yahweh. That’s my God. That's what Elijah means. “Elisha”, means God is my salvation. Notice the closeness of the name for both prophets, as if Hebrew, by nuance sought to indicate that the two fellow travelers were of much the same spirit. Ah, there it is; the word “spirit”. In fact, Elisha asks for a double measure of Elijah’s spirit. Alas, that was a difficult task. But then there was this experience of the chariots of Israel and the whirlwind, a very intense experience of a vortex of Godly spirit. We know from a reading of Genesis, that the breath of God brooded over the waters at creation; ~Genesis 1:1,2. God saw the chaos, the void and the emptiness, and began the process of dividing the light from the darkness, the land from the sea, and then breathing the breath of God into humankind. The Holy Spirit then has to do with the very act of breathing itself. Anyone who has ever suffered from asthma or pneumonia knows how much of the essence of life breathing is. Without the ability to listen, it will be difficult to forgive. Without the ability to listen, we test our ability to love. Without the ability to listen, it is impossible to be reconciled. Our inner conflict, our conflict with others, our political conflict, indeed, much of our warfare comes from the fact that our listening skills in our time are wanting in the extreme. To the contrary our language and our speaking to one another is often strident, rude and disrespectful. How can we learn anything from one another or from God unless we listen to one another’s hearts? Jesus came to us in this way; to teach us to listen to the Law and to the Prophets and to his way, his truth, and his life. On the mountaintop Elijah and Moses appeared and were speaking to one another. What a conversation that must have been! Elijah representing the prophets, Moses representing the Law, and Jesus representing God made flesh and blood together. Peter, representing us; said “Let’s make some dwellings, “lean to’s” if you will” not knowing what to say. 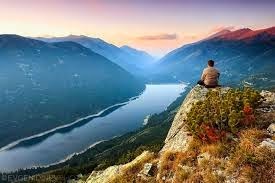 Lets face it, in the Presence of God, we don’t have much to say and need to have the sense to just be quiet. And my friends, we are always in the Presence of God. We don’t have anything to say. Thankfully the Church gives us an approach to the throne of grace in the Word of God and in the Eucharist. God has much to say, but the only way we can hear it, is to listen. That is why the practitioners of Christians Spirituality begin with the Silence. We begin with the Spirit. We begin with the breath God breathed into us in the very first moments at the creation. Not only is my spirit and my breath my connection to God, it is also our connection to one another. It is our connection to the eternal. So then, as Moses removed his shoes from his feet at the burning bush, we must do the same with one another at least figuratively, for the ground we all stand on is holy ground. What a difference it would make to the frantic, noisy, lives so many live, it would make a difference to our politics and our history as well. Jesus came into the world not to condemn it but that it should be saved by knowing the way to the Father; through the person of Jesus who is the Incarnate Word of God; Love, Forgiveness, Reconciliation, Mercy, Obedience and so on. God in the flesh and Blood of Jesus taught us the Way and The Truth and the Life. I am not saying that it is only through Jesus that there is salvation. I am saying that it is only through the kind of life Life he lived that salvation is even possible. There can be no salvation without Love and Forgiveness, Reconciliation and Obedience, Mercy and Kindness and so on. This way of life is a life of Joy and Wonder. 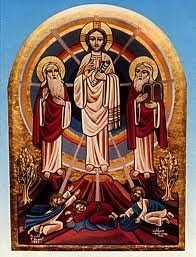 So my friends we come to the Feast Day of the Transfiguration; the Last Sunday after the Epiphany. As Jesus was transfigured before their very eyes, so as the Collect of the Day puts it; “may we be strengthened to bear our cross, and be changed into his likeness from glory to glory”. We begin with our breathing, our listening, and with the Silence of God. This Silence, this listening will most certainly bring us to the heart of God. If you ever think you're busy or that you are under some stress, or that the demands of your job are getting to be too much for you, imagine being Jesus. 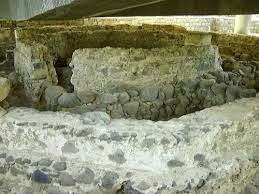 We're told in today's Gospel that, as Jesus sets up headquarters in Capernaum at the home of Simon and Andrew, first Simon's mother-in-law was sick with a fever. Then the town's folk heard that Jesus had amazing powers to heal those with physical, mental and spiritual illnesses, and eventually the entire town was at the door clamoring for Jesus' healing touch. 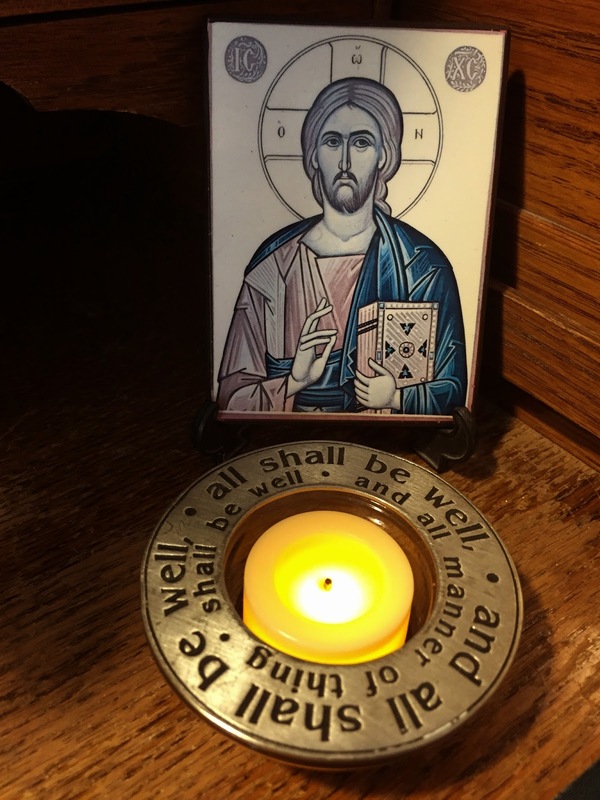 Such were the demands on Jesus, that he found that he needed to rise up very early in the day, while it was still dark, and find a deserted place where he could pray, and get his spiritual batteries charged up. Then of course the disciples found Jesus and told him; the whole town is at the door and is crying out for Jesus to come and attend to their wounded bodies, spirits, and souls. And of course he does exactly that. But first he must tend to his own spirit. This is why I am recommending to you that we learn to journal as part of our lenten discipline together. I have set myself under the discipline of the journal for over twenty years now. It is the first thing I do every day. Well, that's not quite true. Truth be told, I tend to the necessaries first, then have my breakfast and read the Boston Globe, but then I go to my journal. I review the events of my life, my feelings about these events and how I find that God is inviting me to deal with these matters. And in doing so, I discover that God is guiding and strengthening me. Given that St. John's has been through significant upheaval in the recent past, I think we too need to tend to our spirits. After all, these events were out of your control and imposed themselves on you and you by external circumstance. Several clergy have been abruptly removed from your life as a church and you have been left with significant feelings around these events. There is no need for us to dwell on the matter, but we do need to name what has happened and deal with how we feel about it and then move on. I sense that this congregation is now seeking some stability. Your lay and clergy leadership need to establish the bonds of warmth, affection and trust for us to find a way to turn the page and move along. Therefore I am going to make three recommendations to help us move ahead into our future and prepare the groundwork for you to receive your new priest however soon or long that takes in God's time. First we owe Joyce Harrington a tremendous debt of gratitude. She came into our midst at a time of upheaval and she helped steady the ship and has done good and faithful service for this church. I am grateful that we can take some time today at our annual meeting to recognize the significance of her contribution and express our gratitude to her. Therefore, among the first things must do is to make a decision about staffing the office with an effective and efficient parish administrator and secretary. That will require some time, but I am hopeful that by the end of February we will be able to move ahead with a decision as to who will provide coverage for us in our parish office. The second thing I think we need to do is to establish a Membership Committee. We need to work on our parish list and take attendance often enough to track new members and make sure we are doing an effective job at shepherding their entry into the life of the church. We also need to notice as soon as possible that some of our membership seems to be drifting away or not in attendance for whatever reason. Then we need to establish a way to follow up with any significant patterns we notice so that we are more effective and timely in our pastoral care. Thirdly, I'd like to establish a Parish Council who will help prepare a calendar going out over 18 months. After all, Shrove Tuesday always comes on the same day every year. Even if the Sunday Bulletin calls it Shrove Thursday, the fact of the matter remains, this year Shrove Tuesday comes on a Tuesday evening, namely February 17th from 4-6 pm. 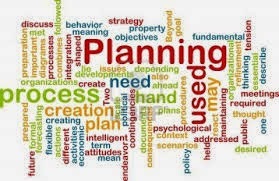 I would like to have a small group of planners work with me and the office in establishing clarity of dates, times, clarifying the purpose of all parish activities, and then assist in recruiting leadership teams for each event. Yes, do too few folks do too much work? Indeed they do. But that is not peculiar to this congregation. This is the tendency in all congregations especially after they have been under significant stress over an extended period of time. 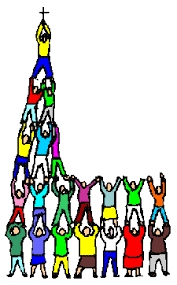 When we plan, we will learn to extend our leadership base more effectively. Friends, at last count I have noted that 14 new families and individuals have become involved at St. John's in various levels of commitment. This is very encouraging news and speaks well of the leadership of the church at least at the lay level, and hopefully your ordained leadership as well. We are all on the same side in these efforts and we ask God to bless us in this work. But that only underscores how critical it is for us to remember what brings us together each Sunday. We are here to encounter the God in the Word and Jesus in the Sacraments. We are here to remember that the Holy Spirit seeks to share with us the Holy Wisdom from on high and to equip us with gifts to do the work of the church. In that Spirit then, we are called to learn how to love one another as God loves us. We will be making a staff decision about our parish administrator within about a month or so. We will be working on a Parish Council who will assist with planning activities for the church. This is not just busy work. As Jesus reminds us, we will need to take time to find a quiet place where we my pray and know the living God. That's what brings us together each week. It is to learn to love God and to learn to love one another. My journal led me to You. You led me to the "I" within me. And You led me to "Us"
For over 20 years I have been recording the events of my life in my journal. My spiritual director led me to record the feelings I had around these events since my feelings are my "angels" or messengers from You. These feelings led me to accept Your invitation to explore my life with You and Your life within me. We dealt with difficult people like my mother and me. We dealt with Your church for over 42 years now. We managed a great deal of joy and compassion and conflict. You taught me to do so without complacency; an amazing lesson! We built a homeless shelter and fed the poor. We housed battered women and children. We were resolute together against the powers and principalities. 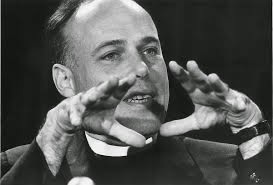 You led me to the ministry of reconciliation and taught me that You and I and Us are becoming increasingly One. You led me to retirement and You insisted that I work on in Your church. Thank You. I love the Church, her people, and her gracious buildings. You lead me to the Holy within me. You lead me to the Holy among us. I found you in the journal, the Holy of holies within. Just by telling the truth to my heart I realized that You are there with me. The nearer I journey within my heart, the nearer You come to me as my Friend and Companion. Like the writers of old who spoke of the "Muse", I noticed You. Thus in the art of conversation between us, we discover one another. It is in the art of conversation that we do that among our friends and the deeper that conversation goes, You too become part of our life in one another. As You spoke those amazing words "I AM"
I discovered "I am" too but without the caps. You are my only connection to the eternal. You are my connection to those I love, those I don't love so much and those I don't know at all. But we are all still One. And now You led me at long last to take care of myself in these latter days. You have led me to gastric by-pass surgery and weight loss...more than 80 lbs now. You led me to see that I cannot do this without you. You led to to see the joy and compassion of seeing myself as You see me. You are now leading me to look upon myself without complacency as I rejoice with compassion. This I learned again just today. So many things to learn every day, again and again.